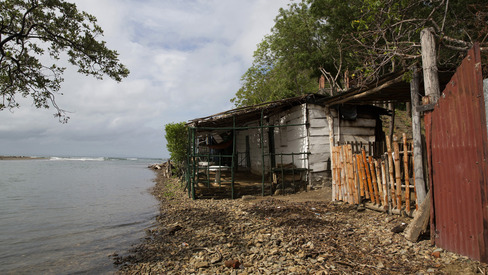 Deep on the southeastern side of Lake Nicaragua, along a bumpy dirt road that climbs gently through lush-green forest, sits the tiny town of El Tule. It is quintessential rural Central America: Chickens roam outside tin-roofed homes while pigs stand tied to trees, awaiting slaughter; the sound of drunk locals singing along to ranchera music greeted visitors on a recent weekend afternoon. The idea is that the waterway will attract many of the larger vessels that the Panama Canal — located just 300 miles to the southeast — has historically struggled to accommodate. A construction deadline of 2020 has been set. 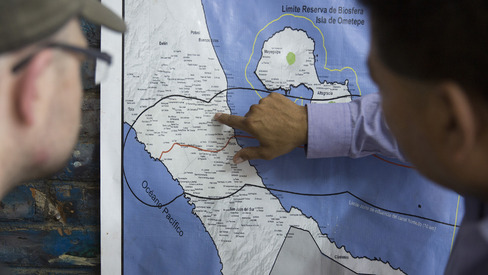 Yet a four-day tour through El Tule and surrounding areas slated for crucial initial development only seemed to corroborate the belief, harbored by many analysts inside and outside Nicaragua, that this project isn’t going to get done. 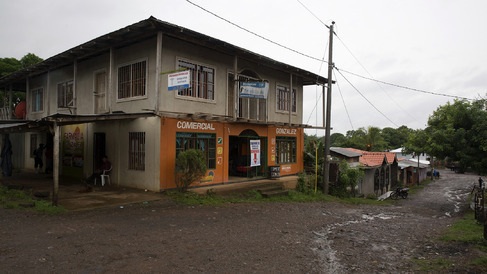 The tiny town of El Tule in Nicaragua. 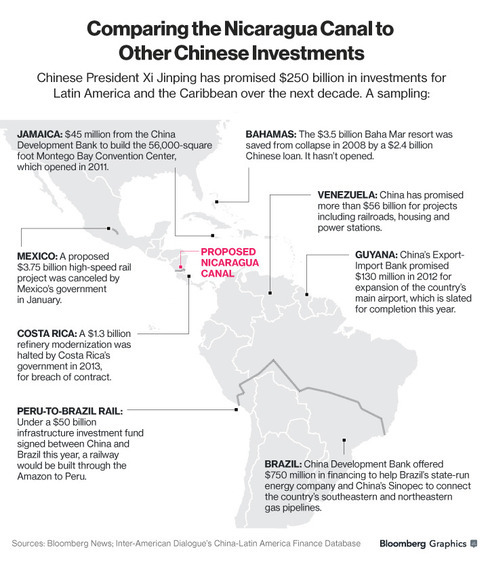 The $50 billion canal would be the biggest infrastructure project the region has ever seen with the waterway slated to run 170 miles from Nicaragua's east to west coast. 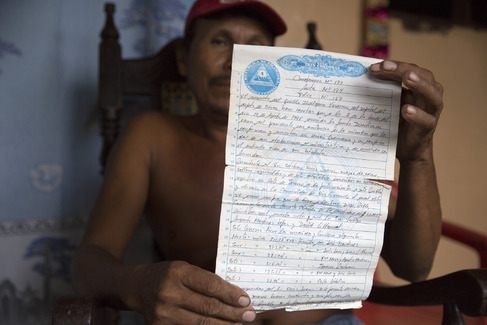 A resident holds his land contract near the Hacienda Miramar, where work has started on the canal in Rio Grande, Nicaragua.